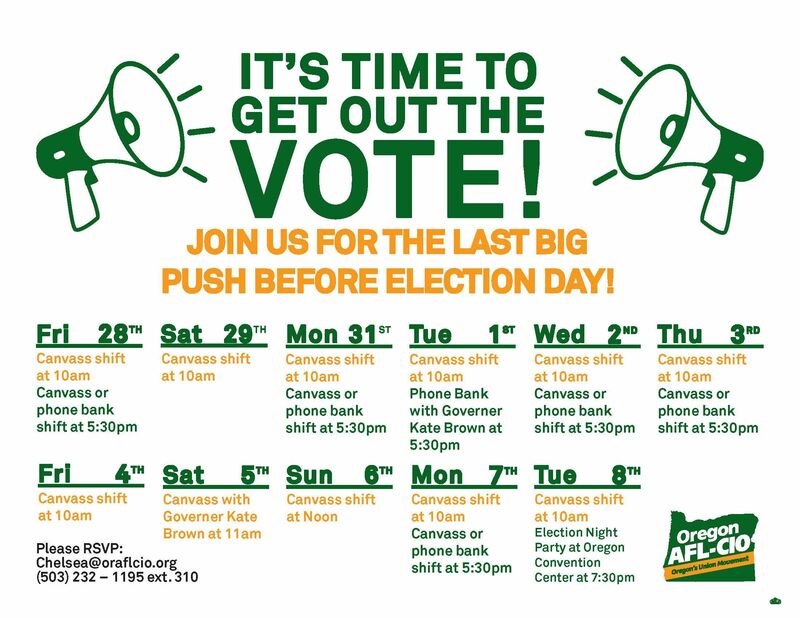 Join us for the final big push of the political season. There is an opportunity to volunteer almost every single day from now til Nov. 8th. These will be happening in cooperation with the Oregon AFL-CIO office in Portland, 3645 SE 32nd Ave., Portland OR.